Add your location to the stops on the First Friday Hop, feature your favorite artist, support a gallery, sponsor a monthly theme, present an event and more! Sign up instantly anytime. When you give to the Hop the Hop gives back! Your donations go directly to supporting and promoting the arts and all the things that keep Louisville weird and wonderful right here in the heart of Downtown. To show our gratitude for your donations the Hop offers a variety of benefits to all our supporting members. – Opportunity to post a message, link, and image here on the VIP page or add an article on the News page. – Feature an artist on the hop. Add an article with a gallery of images featuring a local or favorite artist of your choice to be published on the website and social media pages. – Exclusive invitations to private gallery openings and premier events. – Inclusion of your group or event to our mailing list or custom e-bast, news page, events listings, promotions and social media features. – A dedicated landing page about your group with promotional information and link backs on our high traffic site. – On and off site ads here on the First Friday Page and our partner sites. – Opportunity to create a custom street banners at your location, limited availability, first come, first served basis. – Promotion of your marketing material at our HOP booth at member events like: Worldfest, NULUfest, Day of the Dead and more. – Exclusive invitations to private gallery openings, premier events and exclusive networking groups. – LouLift stops on your block and featured on the on-bus Hop stop map. – Help submitting your event to over 75 event listing and media pages including sites like Louisville.gov event calendar, Louisville.com, Do5o2 and more. – Use of our local mailing lists with 3K and 13K subscribers. Receive everything listed above in the small member benefits as well as a fully custom sponsor relationship. With over 30 events each month and an ever growing memberlist there are endless opportunities for your brand to engage with our vast and varied followers, attendees and participating businesses. Corporate and presenting sponsors have the opportunity to be recognized on print materials, event signage and promotional materials, news/media and more. We have regular opportunities for speaking engagement, business to business relationships and partnerships with local artists, galleries and events Downtown. – Day of the Dead Louisville Dia de los Muertos Lousville: A full city block of traditional Music, Dancing, food, art making, altars, ofrendas, and community honoring loved ones lost. Bringing the many diverse communities of Louisville together to celebrate life, love and lose with light on the last beautiful days of fall. – The Return of the Trolley: Let’s create a partnership with the Thirst Pedler or Louisville tours to create a one of a kind Hop tour just for you and your organization. Perhaps even bring back one of the Toonerville II Trolleys or a Louisville Horse Tram for a privately charted tour of all the Hop gallery openings and events. – Cultural Pass: Join us on an Art, Food and music scavenger hunt set to a theme of your choice! 100’s of stops and activities to choose from! – Sponsor or Host a Gallery opening or Artist lecture: Feature an artist at your location or at any one of the Hops 30+ member locations. 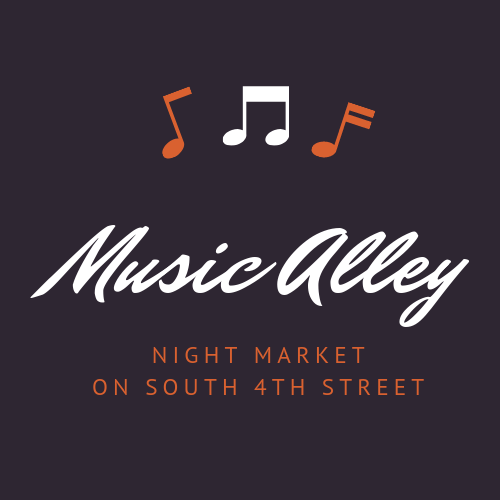 – First Friday Night Market: Presenting sponsor of the Louisville Night Market a monthly evening festival in partnership with Louisville artists and makers from Fleur De Flea, Flea Off, Big Four Arts Festival and Market for mischief. – Artist in residence Programs: There are programs for visual artists, writers, musicians, and other creative media. Programs vary, but can be for just a few hours a month to residencies that run between 2 to 4 weeks in length. Artists are invited to participate in creative programs at your location and help promote your event or buisness by sharing their art with the public. – Field Trips: Invite students to learn all about your location through a relationahip with the local arts of Downtown Louisville. 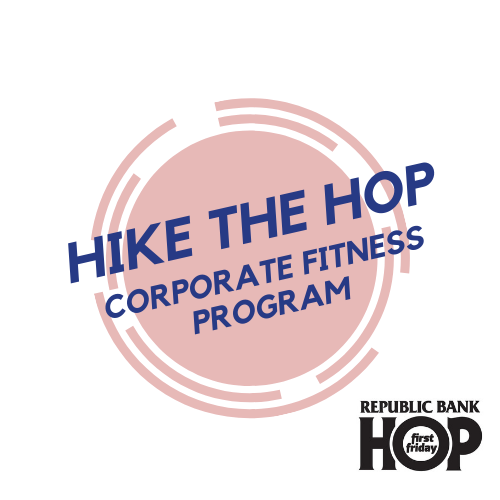 The Republic Bank First Friday Hop student tour is a fun, safe and exciting way to help students explore the rich history of the city as well as it’s active role in the contemporary art of Kentucky. Tell us all about yourself. Are you a new busieness or gallery joining the hop? Would you like to host an art show at your location? Would you like to sponsor a monthly theme on the hop?